It is March 1799. 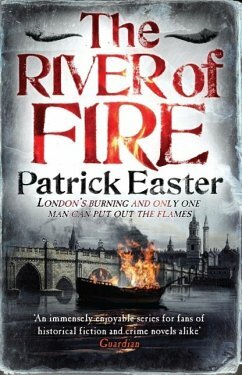 A sunken lugger in the Pool of London reveals a grisly secret: The bodies of two men entombed in the crew's cabin. Suspicion falls on a third member of the crew seen fleeing the scene. He had a known motive for murder. Against the background of a nation at war with Napoleon, River Surveyor Tom Pascoe finds his own life under threat as he digs deeper into the case. He uncovers the existence of French agents in London whose task is to strike a deadly blow to the heart of the capital and undermine England's ability to continue the war. Patrick Easter was a police officer in the Met for thirty years and for part of that time served on the Marine Police force. On retirement, he became a journalist writing both for technical journals and the national press. 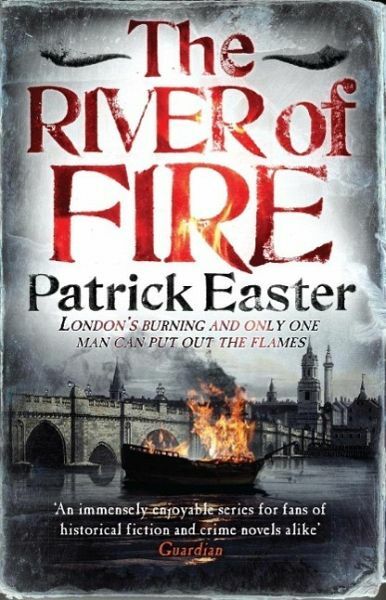 The River of Fire is his second novel and follows his acclaimed debut, The Watermen. He lives in East Sussex.